#104 is a ground level one bedroom unit with a king bed in the bedroom. There is a remodeled kitchen and bathroom with tub/shower combination. The living room is warm and inviting with a wood burning fireplace. Outside the living area is a balcony with seating. #204 is a second floor one bedroom unit with a king bed in the bedroom. A sofa bed in the living room offers additional sleep options. The kitchen has been upgraded with new flooring, cabinets and granite counters. Outside the living area is a balcony with seating. #209 is a second floor one bedroom unit with a king bed in the bedroom. 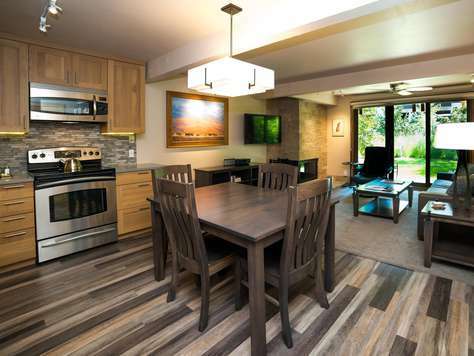 The entire condo has been remodeled with exceptional finishes. The living room features an extra extra large TV and wood burning fireplace. Outside the living area is a patio with a gas grill and seating. #304 is a third floor one bedroom unit with a king bed. This condo features a remodeled bathroom with a tub/shower combination and a kitchen with granite counters and stainless steel appliances. There is a dining area and a cozy and comfortable living room. Outside the living area is a balcony with scenic views of Red Mountain. #309 is a third floor one bedroom unit with a king bed and a queen-sized fold out sofa. An extra adult or child can sleep here very comfortably. This condo is completely remodeled with a beautiful kitchen with gorgeous granite counters and stainless steel appliances. 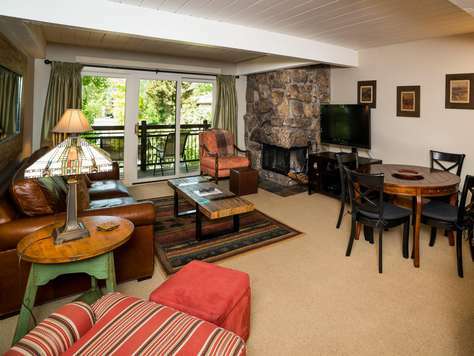 There is a dining area and a stylish and comfortable living room with a wood burning fireplace. 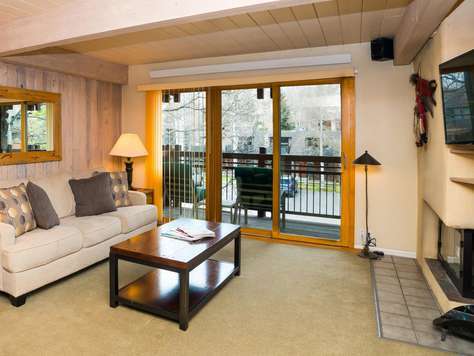 Outside the living area is a balcony with scenic views of Aspen Mountain. #409 is a forth floor one bedroom unit with a king bed. The entire condo has been attractively upgraded including beautiful tile and granite in the kitchen and bathrooms. Outside the living area is balcony with scenic views facing south.